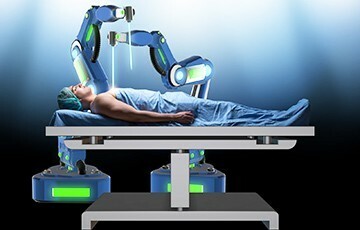 Securing a medical device manufacturer surgical robot systems. Device Authority, a global leader in Identity and Access Management (IAM) for the Internet of Things (IoT) and Blockchain, today announces its partnership and joint customer success with nCipher Security, the provider of trust, integrity and control for business critical information and applications. Device Authority’s KeyScaler platform integrates with nCipher’s nShield hardware security modules (HSMs) to provide high-assurance device authentication, managed end-to-end encryption, and certificate provisioning for IoT devices, ideal for medical, industrial, and other smart connected products. KeyScaler delivers a scalable, device-based authentication and authorization to establish a strong root of trust and identity assurance for medical IoT devices. “Every day we are seeing how technology in healthcare is helping improve the care that patients receive. However, we have also seen that the healthcare industry is regularly under threat from cybercriminals. Our partnership with Device Authority has enabled us to solve device authentication and data security challenges that are hindering IoT deployments. By creating a hardened system for issuing and managing device credentials and the keys that are essential to creating a root of trust, we enhance patient safety and allow organizations to confidently deploy business critical IoT projects. This has led to our first joint customer win with a large medical device manufacturer securing surgical robot systems,” said Cindy Provin, CEO, nCipher Security.